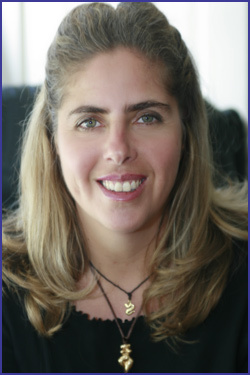 Elizabeth Stahl NHC; is the creator and facilitator of the Goddess Party, Star of Aphrodite Life Coaching and the Single Woman’s Circle – a forum for mining the gold in all women. As the creator of the Goddess Party, Elizabeth believes that women tap into their amazing feminine spirit, inner power and divine beauty in the presence of other women. The Goddess Party is a place to honor the wisdom of women, to connect joyfully in the spirit of fun, and be blessed by the beauty of each others company. As a Life and Wellness Coach, Elizabeth accompanies her clients through life changes, transformation and growth, guiding them through a gentle and powerful journey into their own magnificence. Elizabeth has 16 years of experience as a certified healer, Natural Health Consultant (NHC) and teacher of women's wellness that she brings to her coaching clients and students. She is available for private sessions, group work, classes, lectures and workshops. I have been exploring the concept of the Goddess for almost twenty years now. In my late teens I found myself attracted to a fertility Goddess symbol in the form of a necklace, I put that necklace around my neck in 1987 and have worn it ever since. The symbol of this Goddess necklace has inspired my life and my life’s work, and I have felt so blessed because of it. The Goddess work offered here is based on my own exploration, experience and healing practices in which I have incorporated years of holistic training with the aspect of the Divine Feminine consciousness and the ancient Goddess mythologies from around the globe. These mythological stories are archetypal and relevant to all of today’s women. The power of myth is immense, and as we educate ourselves through mythology, we discover how these ancient stories still have relevance, mirroring the many aspects of our modern day lives. Issues such as power, love, compassion, betrayal, fear, beauty, competitiveness, addictions, etc. are all an aspect of this type of exploration. My work includes creating rituals, ceremonies, exercises, crafts, movement and conversations that help to stretch our view of ourselves, moving us through our own self-imposed limitations and coming through feeling more whole and empowered. This is a gift and a blessing I wish to share with all women.